-Seems like 1.3 GHz might be the best frequency for me. Will go through objects I want to fly around and won't interfere with cell towers. Is this frequency safe to use in the USA? Anything I should be cautioned about? -What should I use so that my brother and I can fly together? He also has a dx6i and I would hate for our video to interfere with each other. And once again looking for any recommendations on what to use. Seems like there should be quite a few others in this same camp, and I am curious to hear what you guys ended up using. I'm running a 250 mw 5.8 GHz system. I see more glitching from the metal roofs. Are you planning to use an LCD screen or goggles? Not sure yet. I really want goggles but cannot afford them right now. Will probably start with an LCD screen. Joshua, I'm using the Fat Sharks Predators V2. They come with the camera, the video transmitter, and the glasses. The great thing about the glasses is that the ground station is built in. If you were to try to buy the components separately, you're looking at about $40 for just the camera, a decent transmitter will be about $30 and up, same for the receiver. Then you'll have to buy a viewing device, a mini tv, or a set of glasses. So at least $50, up to $200 (or more). If you try to buy "cheap" you'l get something you'll fight with trying to get to work. You'll buy more pieces, hoping that maybe you just got a defective item, and then you'll scrap it all and get a Fat Sharks anyways. Or at least that's about how it worked for me. The Predator V2 system can be found for about $270. It's plug and play. Literally just plug the battery into it (after putting the antennas on.) and mount the camera/VTx to your aircraft and you're ready to go. 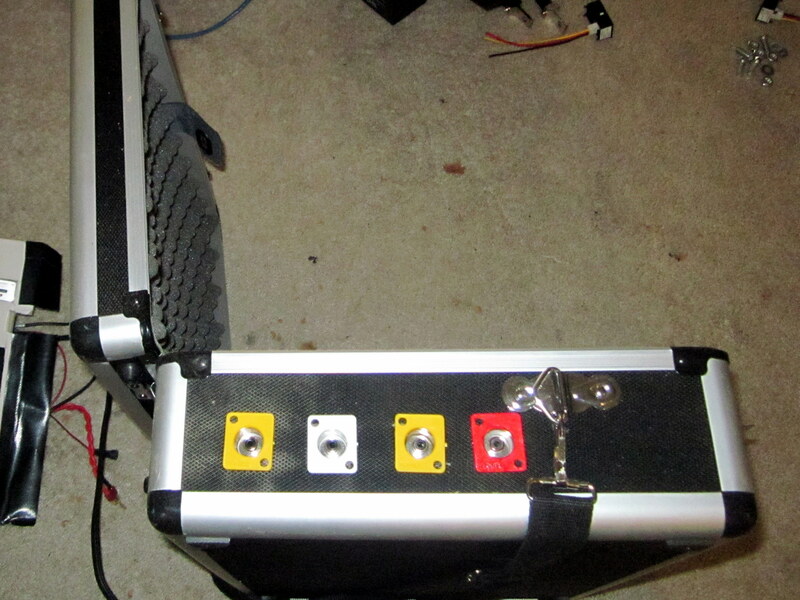 No soldering, no trying to line up the right cords and plugs. One of the best features is that there's no ground station. You'll fly more often, because it's so easy. Thanks for the info. Yeah those FatShark set ups look really nice, and some days I think it would be better just to save up and wait a little longer to scratch this FPV itch that won't leave me alone. My biggest concern is how does everyone like the 5.8 GHz frequency? I really don't want to be limited to LOS flying... I want to explore buildings and landmarks with my tricopter and am concerned about glitching. Once again I'm going to second FlyingMonkey's statement about the Predator V2's value. Especially for beginning FPV. 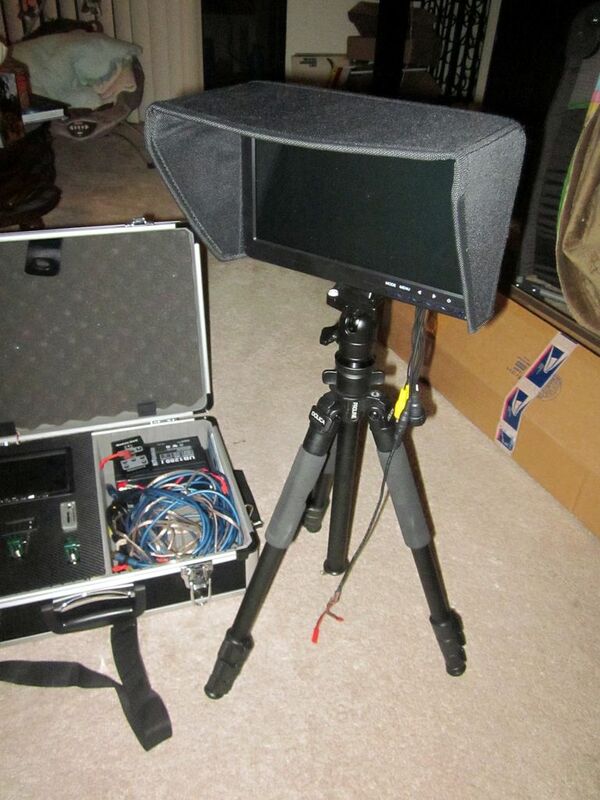 I have seen some monitor/receiver/DVR all-in-one devices out there but they are around $200 for a 7" monitor and you still have to buy the transmitter and camera, which takes you right up to the price of the Predators. I wish someone would do a side by side by side comparison of 900 MHz, 1.2 GHz, and 5.8 GHz, so we could all judge the video quality vs range and signal quality in different situations. Roy, I was very impressed with the quality of the signal of the 5.8 this weekend. In the Blackwater video I posted, you can see I very much go out of Line of Sight of the receiver when I dropped over the edge of the clay cliff and was a good fifteen to twenty feet below the grade. Yeah I saw that in your video and was impressed. It also looked like you were flying through an outdoor hallway between buildings as well. How was the view in your goggles? Did you get any glitching or was it crystal clear? I always get some glitching. Through the building wasn't bad. When I would fly over them, and their metal roofs, that's when I would notice more popping. Nothing I couldn't live with though. Yeah, you'll get that. I haven't tried to play with different frequencies. It could be some random interference. I don't need a perfect image, I just want enough to see where I'm going. The "perfect video" clarity will be shot through the GoPro. What gets posted online as FPV footage is often that "perfect video" being recorded by the onboard DVR and not what the pilot actually sees. 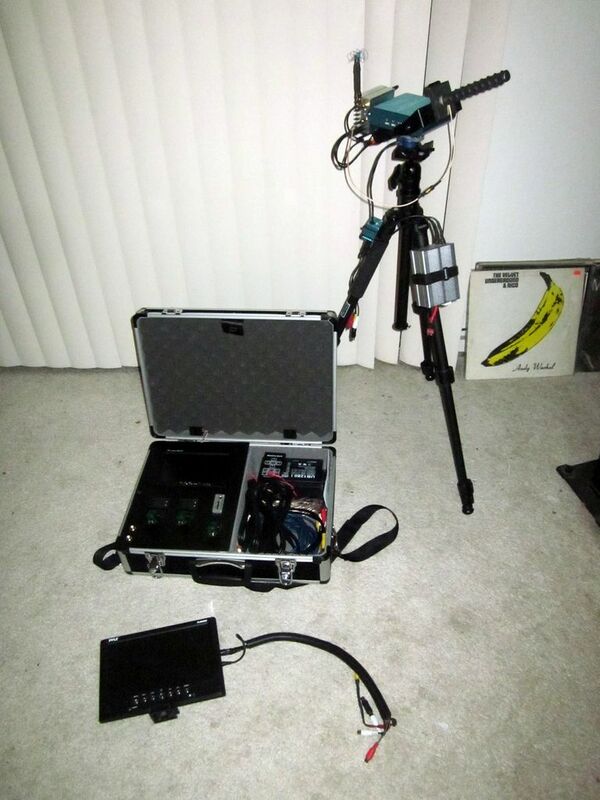 Recently, there have been more actual FPV video captured at the base station being posted, and even some being mixed together with the HD to provide a contrast. The HD video is beautiful, but I often find the FPV video more interesting. I attached some pictures, and here's a video recorded from the thing with candid audio from the crowd. I got frustrated with assembling my base station. I think what put me over was having to deal with RadioShack as my only local source for parts. So, I broke down and ordered the 5.8 GHz receiver module and transmitter. The only transmitter they (RMRC) had in stock was 600 mW which was a bit more than I wanted, but I wanted it now. They arrive Thursday (tomorrow). That's an awesome setup. I really like the idea of giving the spotter a monitor. So I won't abandon the base station build, but with the items above coming, I won't feel so pressured to rush to get it done. Then I can do it right. Thanks for the inspiration. 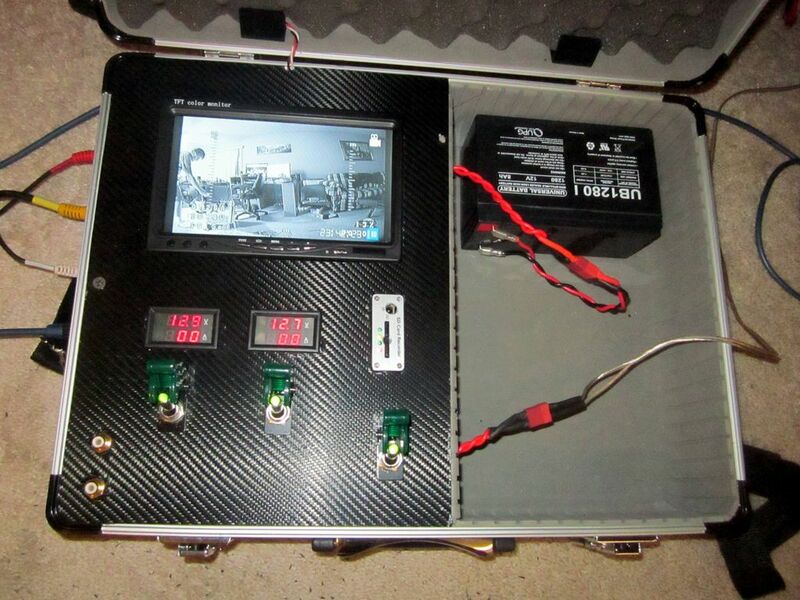 1) What is the best way to power the FatShark TX on my tricopter if I am using a 4S battery? I don't want to have to carry a separate 3S battery. Are you guys using a step-down BEC to go from 4S to 3S? Do I need to use a filter on the power to the FatShark TX? 2) Anyone using cloverleaf antennas on the FatShark TX/RX? Any recommendations (don't want to make one myself)? I bought the cloverleafs that were recommended for it from ReadyMadeRC. 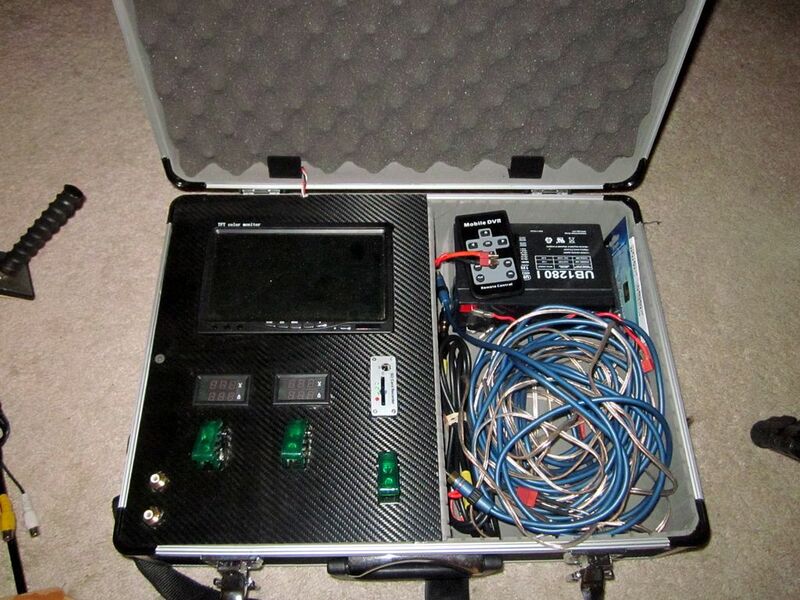 The 600mW transmitter can accept power from a 2S battery up to a 6S battery. I'm not sure if there is a best way to power the transmitter. But using a separate battery has it's advantages. But if you choose to run it from your main battery, you will probably want to put a filter between to keep it from interfering with the video. The 250mW transmitter is what comes with the Predator V2, so double check the power input compatibility before plugging anything in. The camera and TX take 7.4V. I can carry an extra 3S battery if I have to, but I am really trying to save weight. Any thoughts anybody? Anyone else in the same boat with a solution?